Going from head of regulated businesses to overseeing all of the Americas, Japan, and Asia Pacific in just five years at SAP, Jennifer Morgan is no stranger to hard work. Prior to being named to the executive board, Jennifer served as president of SAP North America and is responsible for SAP’s strategy, revenue, and customer success in the Americas and Asia Pacific Japan—regions encompassing more than 43,000 employees and nearly 230,000 customers. Since joining the company in 2004, Jennifer has served in several leadership roles and has been recognized as a thought-leader on government and public sector technology innovation, represented SAP to the U.S. Government, and testified before the United States Congress on technology and acquisition issues. 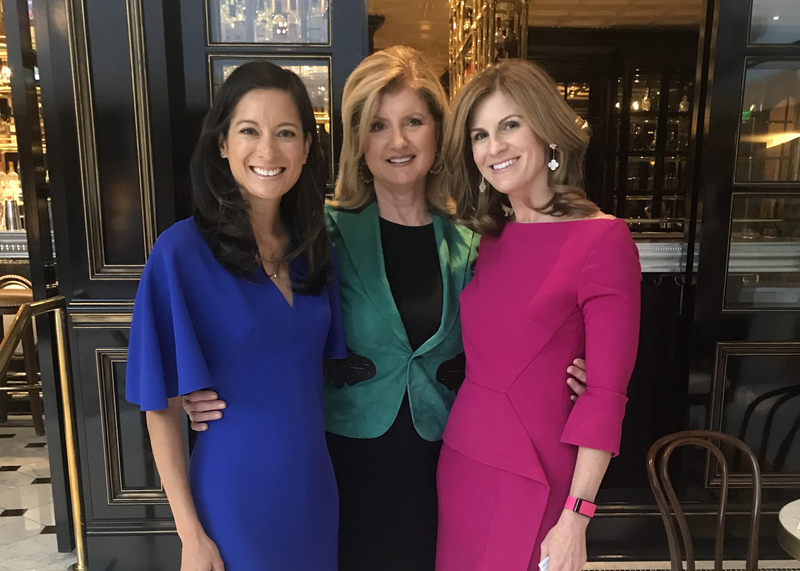 During her time at SAP, Jennifer has embarked on initiatives that many companies remain nervous to take on including erasing the pay gap between male and female employees and developing SAP’s workforce with special emphasis on early talent, diversity, and culture. She was named one of Fortune’s Most Powerful Women in Business in 2018. How have your life experiences and previous employment experiences made you the leader you are today? Hindsight is always 20/20. I think we all have those moments where we look back on our journey and think, ‘I had no idea I would be here,’ and I’ve been at SAP for 14 years now. I’ve always been a big believer in the idea of not making permanent decisions based on temporary hardships and I wouldn’t be where I am today if I hadn’t made certain decisions early on in my career. My first job was at Anderson Consulting, now Accenture. The people, the culture, and the experience there were incredible, and really helped lay the foundation for how I interact with our employees and our customers to this day. I also met my husband at Anderson, and we had our first son when I was at Siebel. I think I always assumed I’d end up staying at home to raise our boys, but my husband was offered the opportunity to go on sabbatical right when we were also trying to figure out what to do about childcare. My husband decided to go on sabbatical and spend time with our newborn and I went back to work, giving our family a short-term solution to a temporary challenge. Sixteen years later he is still an amazing stay at home father to Ned and Eric and more active as a leader in our community than ever. I like to share that story because it’s a lot less likely that I would be where I am today or in this role if we had thought the decision for him to take a sabbatical would be permanent or that he would always be a stay at home dad. What I’ve learned is that in both leadership and in life many of us tend to analyze the forks in our lives with a sense of permanence, and sometimes when we do that we often miss out on incredible opportunities. What have the highlights and challenges been during your time at SAP? After a particularly bad quarterly result early in my career, a mentor gave me a piece of advice. He said, “things are never as good as they seem, and they’re never as bad as they seem…” All of us have highs and lows in our professional and personal lives but I try to always keep them in perspective. The technology industry has been undergoing such incredible change and disruption over the last decade plus that moving with enough speed is a challenge for anyone in our business. But the highlight has been watching our people respond to that challenge – and together building a culture that has allowed us to continually reinvent an amazing 46-year-old company for the challenge ahead. What do you think is the biggest issue we’re currently facing in the workplace? I spend a lot of time thinking about how to build, engage with, and get the most out of a truly diverse workforce. We’re thinking differently about how we use technology to help managers and hirers root out unconscious bias, for example, when they’re hiring a new employee or engaging with their teams. And that’s part of how you lay the foundation for a more diverse leadership pipeline. To move the needle on women in management, for example, we’ve got to make sure that we have a bench of female leaders ready for the C-Suite and the Boardroom. My friend Frances Frei likes to say that the “burden of diversity cannot be solely on the diverse.” So, it’s on all of us to make sure we’re paving the way for a truly diverse workforce in the years ahead. What does the Human Revolution mean to you? I tell people that even as we become more digital, we must also become more human. So, the human revolution, to me, is just that – a strengthening and reawakening of our humanity. At work, that means revolutionizing the way we hire, engage, and develop our people. If you want to win the war for talent, you have to re-recruit your people every single day. You have to make sure they’re healthy, happy, managing their stress well, and engaged with their colleagues and by their leaders. That’s why we’re so excited by the work SAP is doing with Thrive Global. We’re bringing the human revolution to the enterprise and changing the way our teams live and work together. Why have you internally been so focused on helping secure SAP’s place as a leader in the areas of diversity and inclusion and for you as a leader? It’s an easy answer: a diverse, inclusive team means better business results. The data on this is crystal clear and it’s why we’ve been focused on this for a long-time. We were the first tech company to receive EDGE Certification from the World Economic Forum in 2016 and one of the first in the U.S. to proactively identify and close the gender pay gap. And we’re deploying a set of applications that are going to help our customers tackle many of these same diversity and inclusion challenges – from pay equity to unconscious bias. I tell people that quarterly results are lagging indicators of a business’s performance. How companies are tackling issues like culture, diversity and inclusion, and employee engagement are becoming the future predictors and leading indicators of your performance. What advice would you give to those who want to transform their workplace and lead a cultural change but don’t know where or how to start? The only way out of uncertainty or disruption is through it. Lean into it and get started. I saw Whitney Wolfe Herd, the founder of Bumble, speak at Fortune Most Powerful Women’s Summit a few weeks ago and she said something interesting. I’m paraphrasing, but basically she said “When someone tells you no, don’t be upset. Be happy. Because it probably means no one’s done it yet.” That’s the mindset you have to have on thorny, messy, and complicated challenges. Nobody said shaping the future of work was going to be easy! What do you want SAP to accomplish in the next year? I was asked to sum up the opportunity ahead of us at a recent all hands and I stole a well-known tag line from an iconic brand: Just Do It. Our strategy is solid, our portfolio is second to none, and our momentum is off the charts. It’s about execution for our customers and continuing to build an amazing place of work for the 95,000 men and women of SAP around the world – and for those future colleagues who will hopefully come join us on this journey…the best is yet to come!